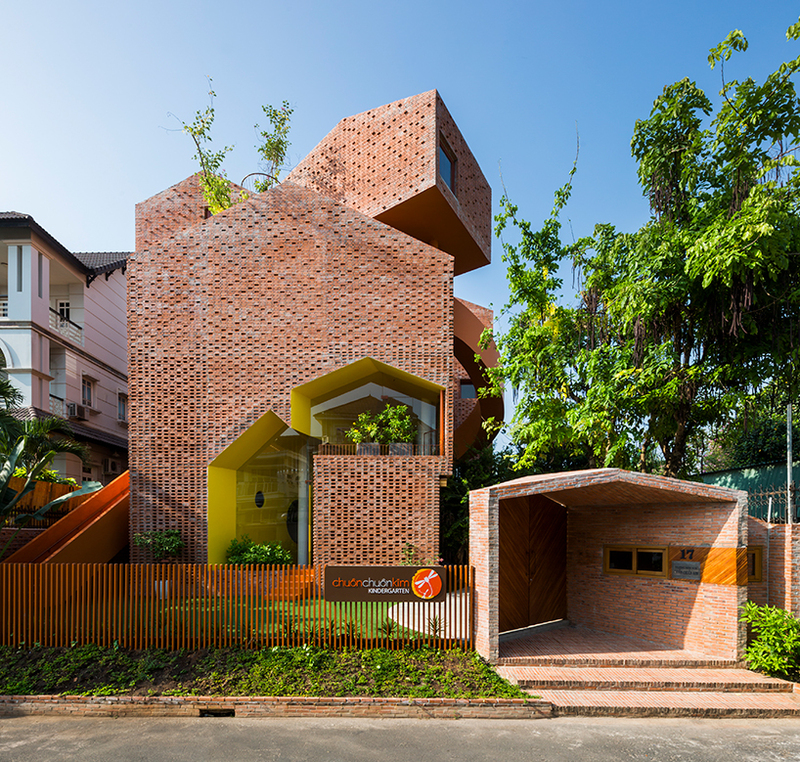 A school in Vietnam, Chuon Chuon Kim 2 Kindergarten, is built almost entirely of exposed brick with bright colors and modern cuts throughout creating an eye-catching design. 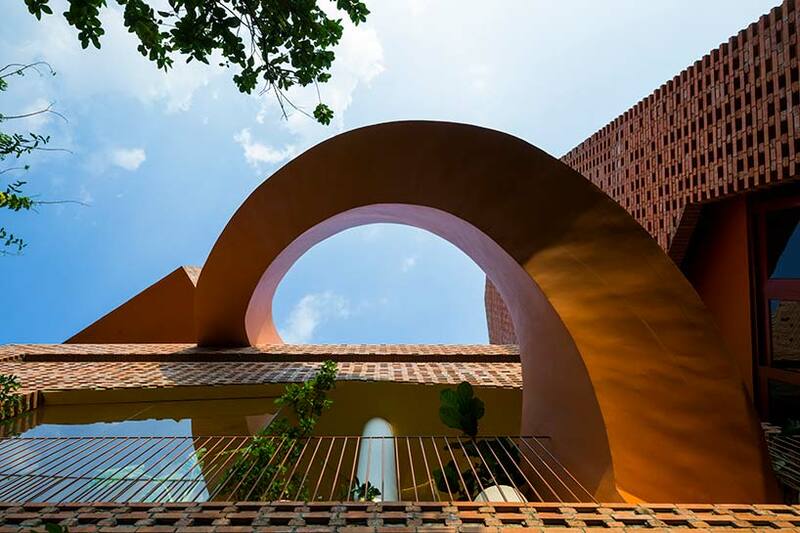 Designed by Kientruc O, the use of light and vibrant colors were important aspects of the building design. 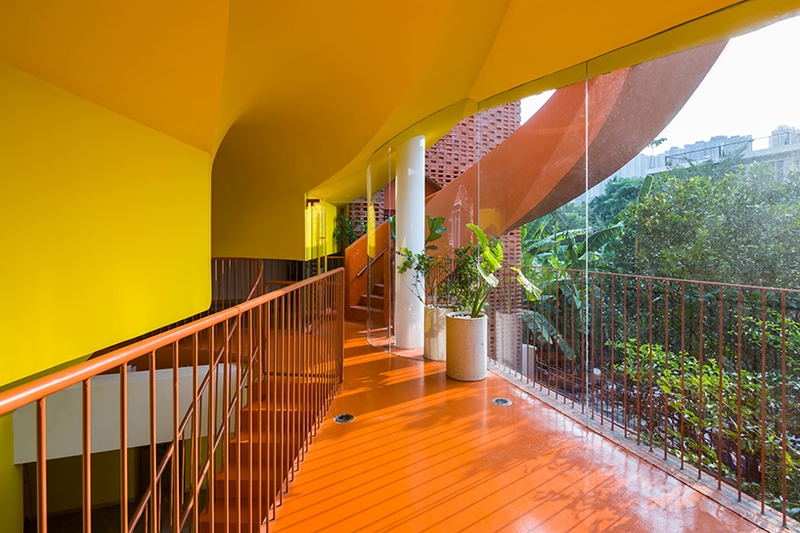 Yellow and orange colors painted on the walls and ceilings energize the interior space. Various staircases and uniquely shaped windows throughout the building design allow light to come through and illuminate areas within. 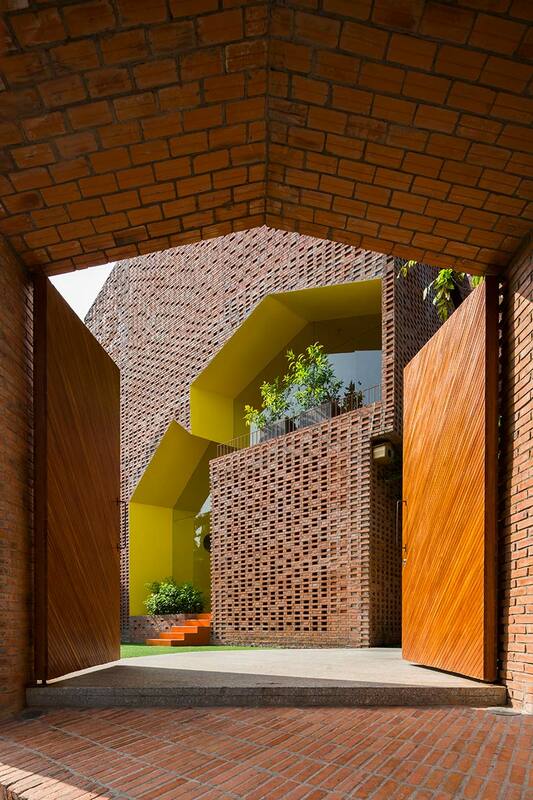 Each section of the brick walls vary in composition, similar to a LEGO design, resembling more of a playhouse then a school. 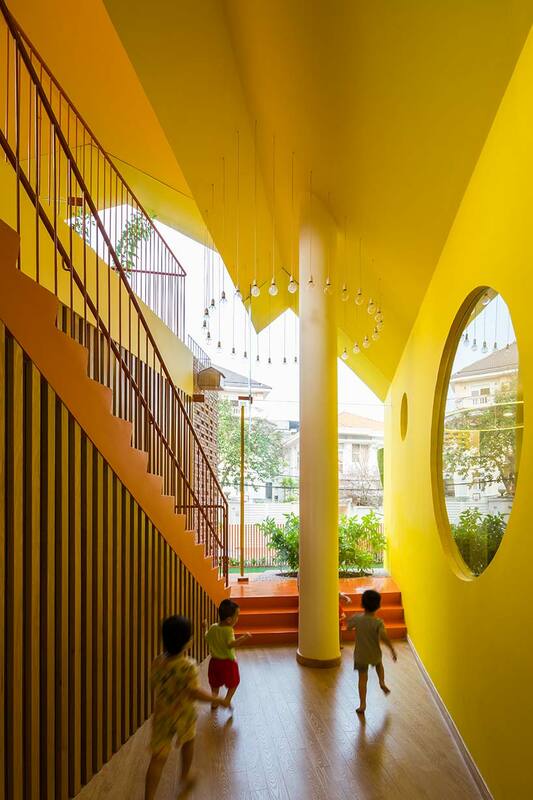 “Each floor is arranged in an alternating pattern to enhance vertical interaction, encourage children to be more receptive of their surroundings, and stimulate their inner creativity,” explains Kientruc O. 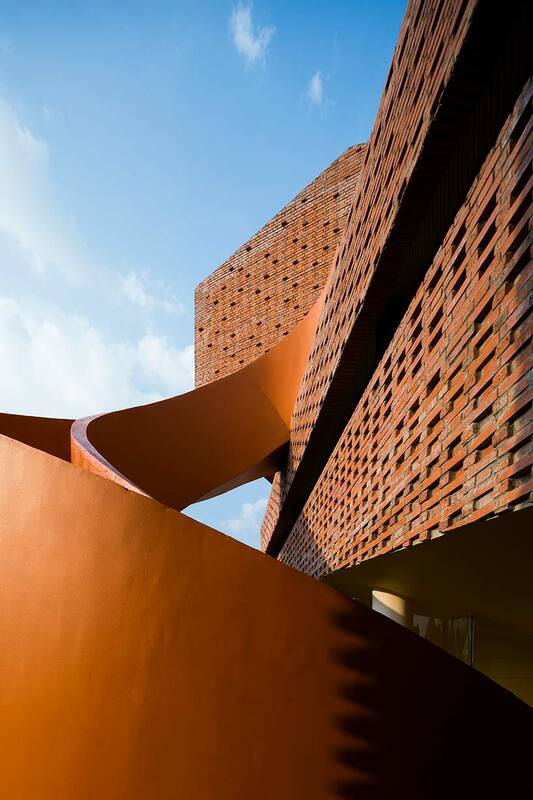 The variations play with the use of light and dark, creating unique twists and turns around every corner.